A sports car parked outside the house appeared to be gift-wrapped as a present. 24. 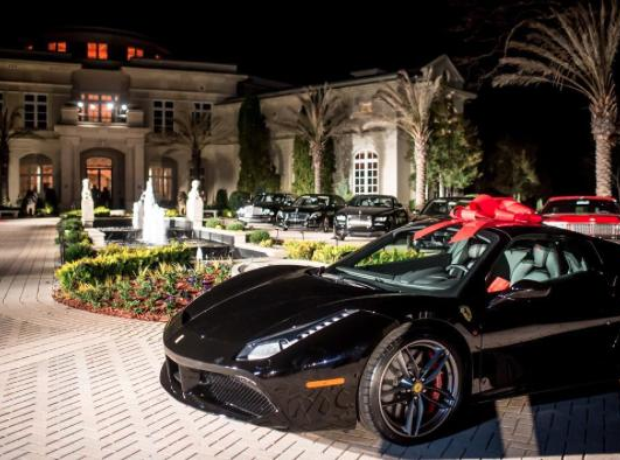 A sports car parked outside the house appeared to be gift-wrapped as a present.